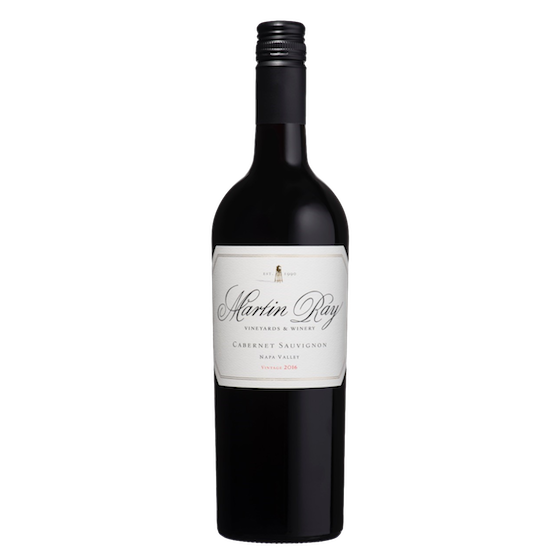 This Napa Valley Cabernet Sauvignon was crafted by classic labour-intensive, small-lot winemaking technique that yield the nuanced flavour and texture that characterize Martin Ray wines. Sourced from Coombsville and Rutherford and other select Napa sites, it is a wine that showcases the varied and complementary styles that define each sub-appellation. Hand-harvested fruit was cold-soaked for four days, then spent two weeks in open-top fermenters, which were gently punched down by hand. Once fermentation was complete, the wine aged for 16 months in French oak barrels (around half new, half second use). The nose has a traditional profile, with layers of ripe mulberry, dark cassis, wild violet, and spice rooted by earthy, mineral undertones. There’s plenty of ripe, pure fruit on the palate, as well as blackberry pie and hints of elderflower. Medium-bodied with well-structured tannins and balanced, subtle oak influence.